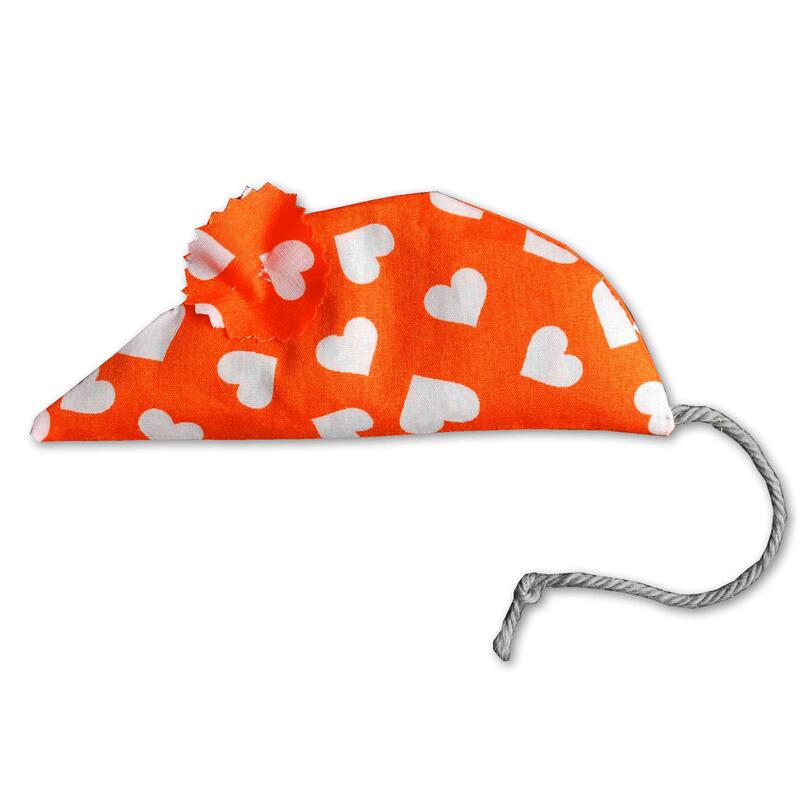 Our delightful and completely natural mouse catnip toy now comes in a valentine's pack of two. These toys will keep your cat blissfully happy for hours. 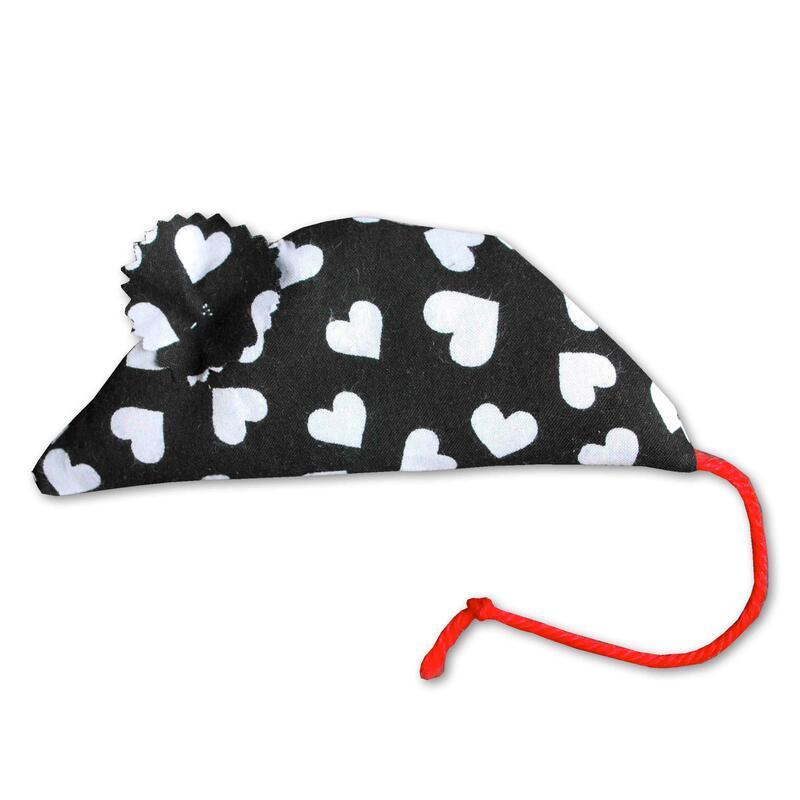 Stuffed with only love and certified organic catnip herb - which is sewn into a pure cotton outer. 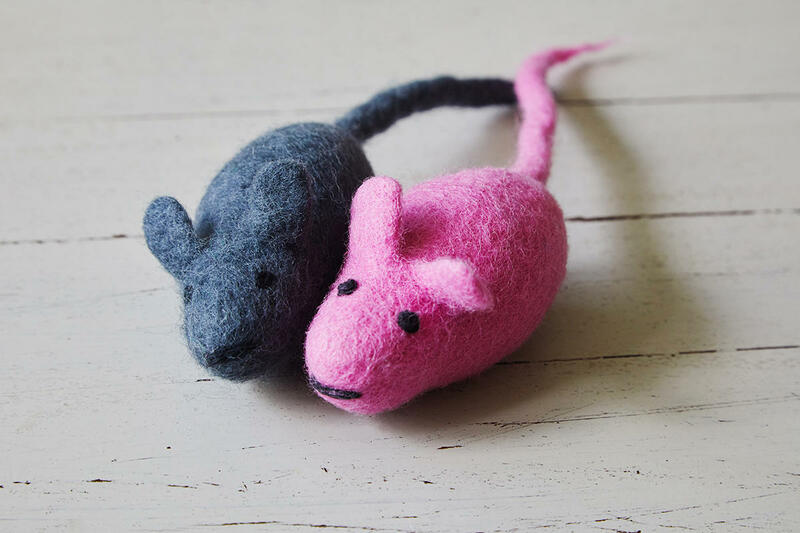 Our sweet catnip mice come complete with colourful pure British wool twine tails and fabric ears. Each pack contains a 'Love U' orange mouse with a grey tail and a 'Love U' black mouse with a red tail. They make the perfect treat for your cat. Size: These cat toys measure 14cm x 5.5cm (approx).